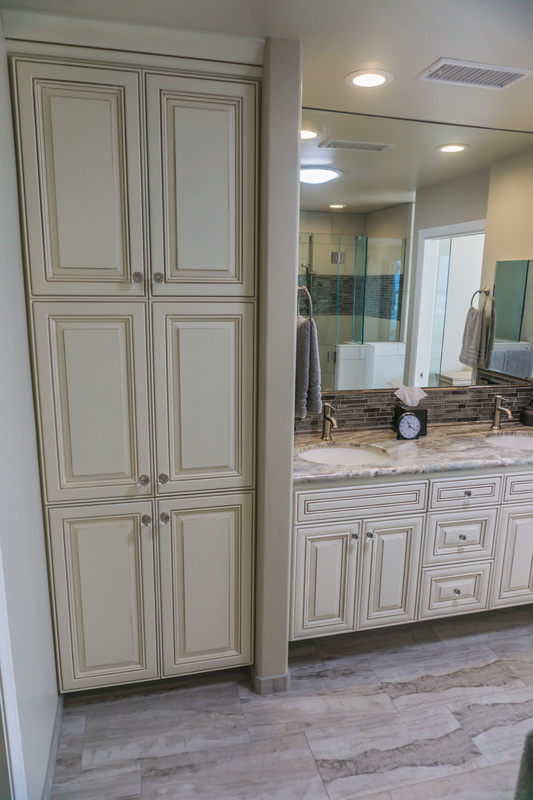 Kept existing cabinets, raised them and added a linen cabinet to match. 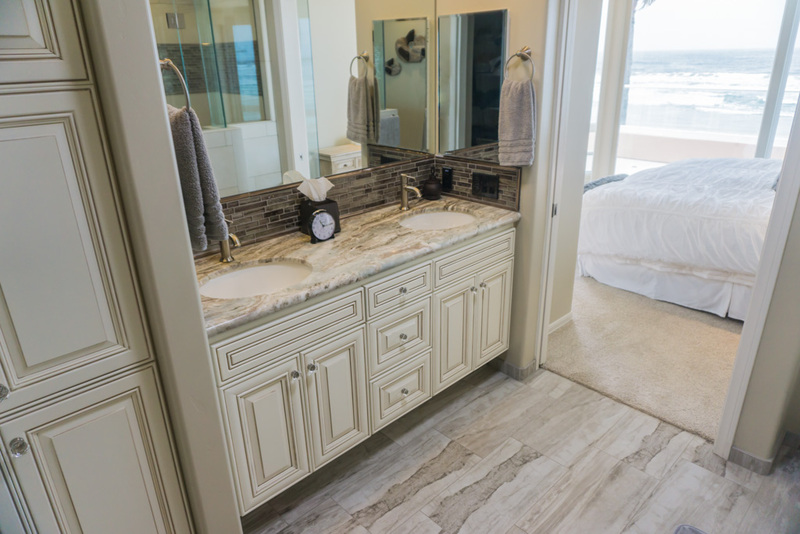 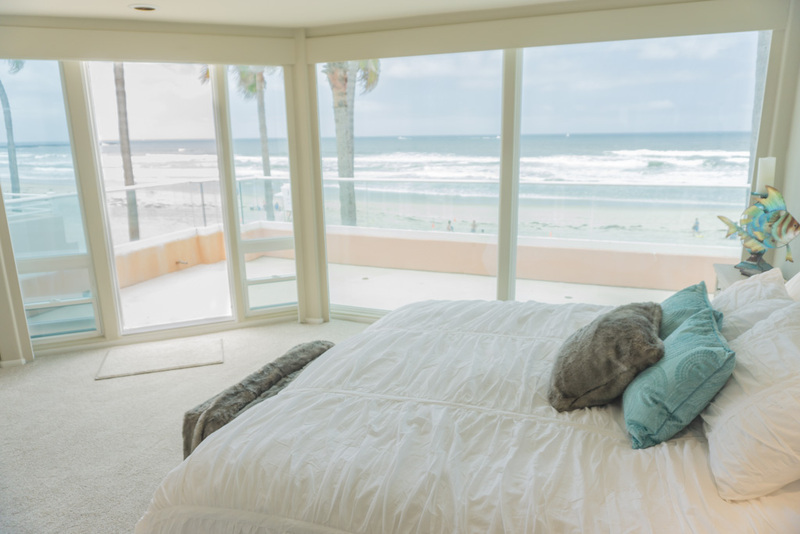 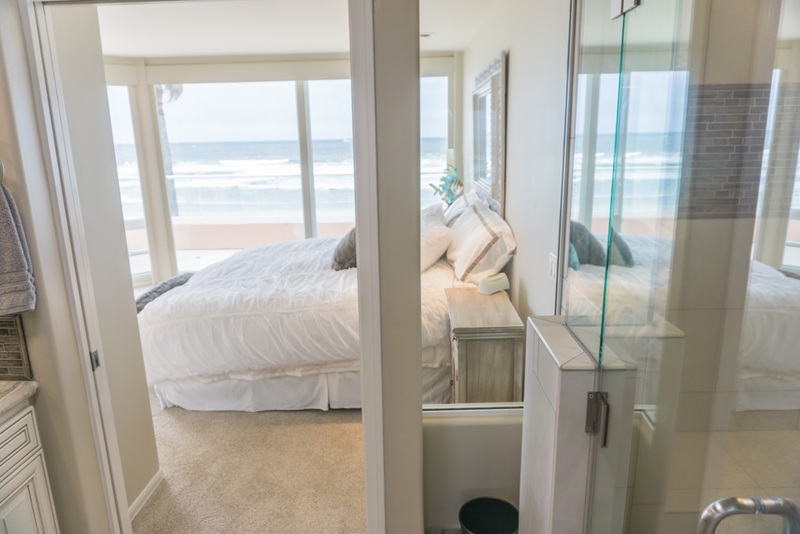 This project was a makeover for this clients vacation condo on the oceanfront beach in Mission Bay. 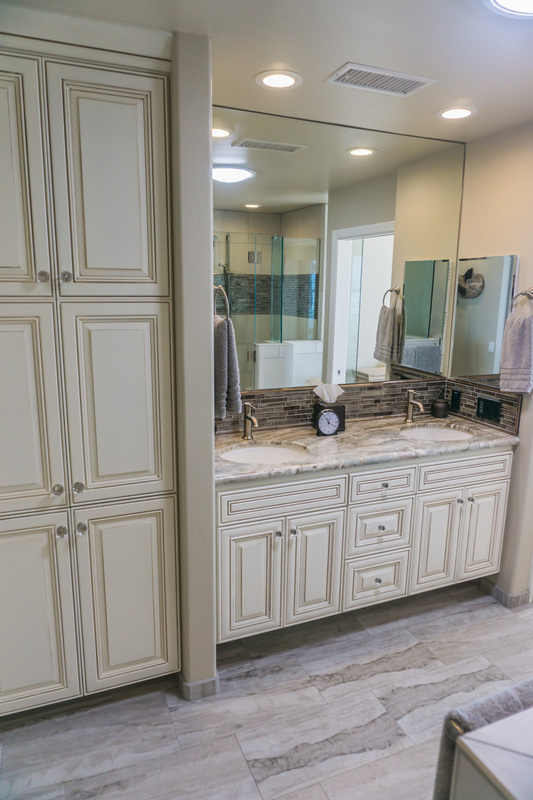 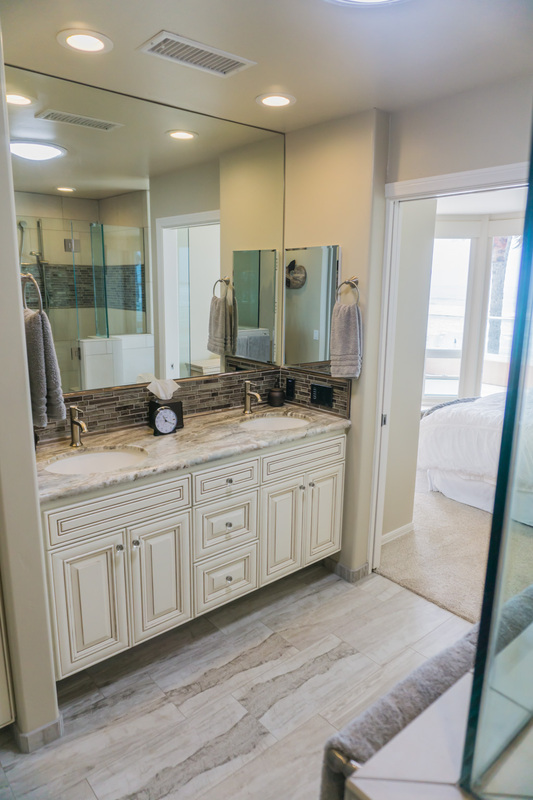 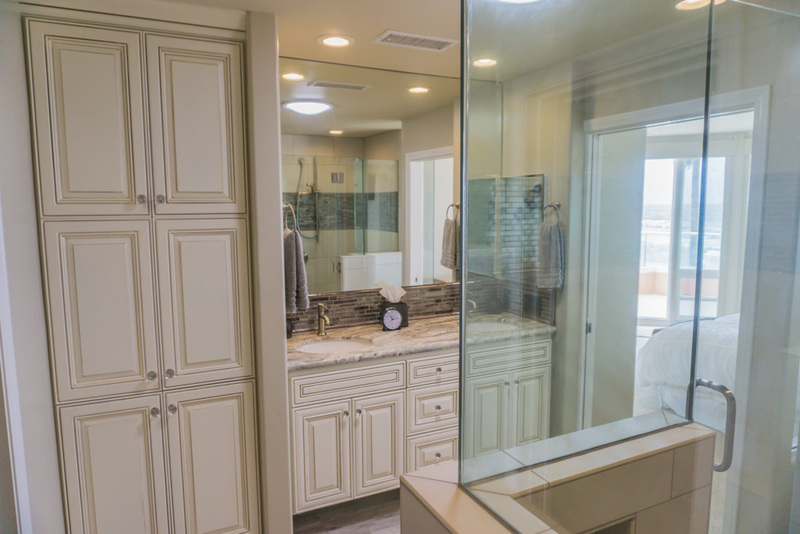 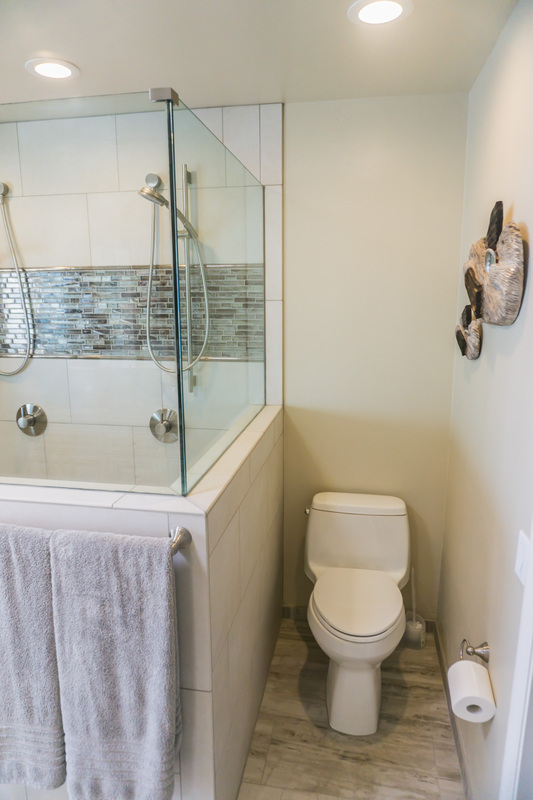 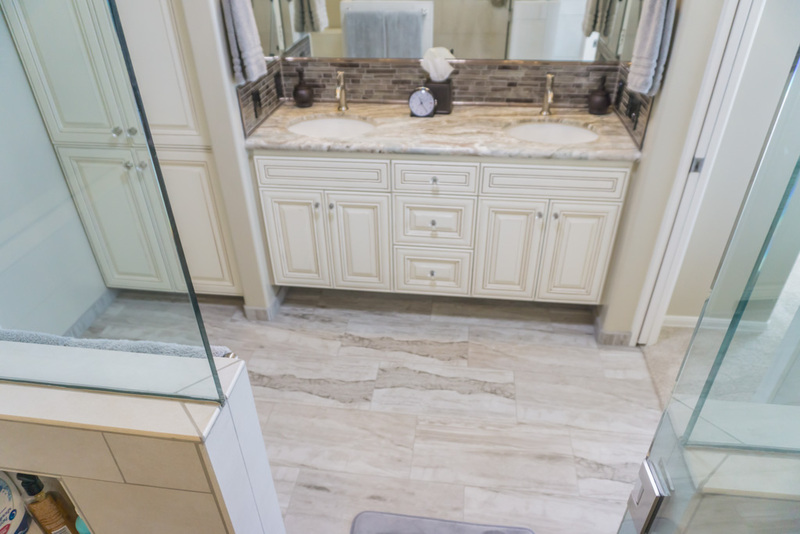 The existing bathroom just did not fit the clients needs functionally. 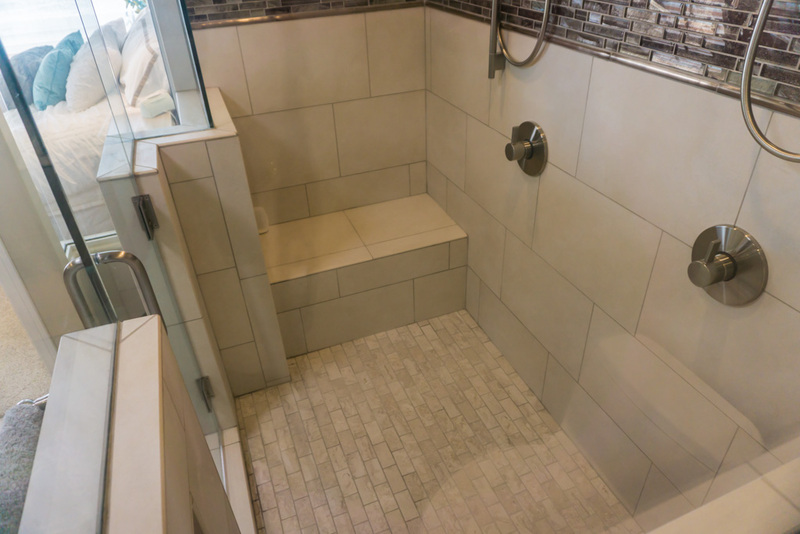 The bath had a small shower and tub which the client never used. 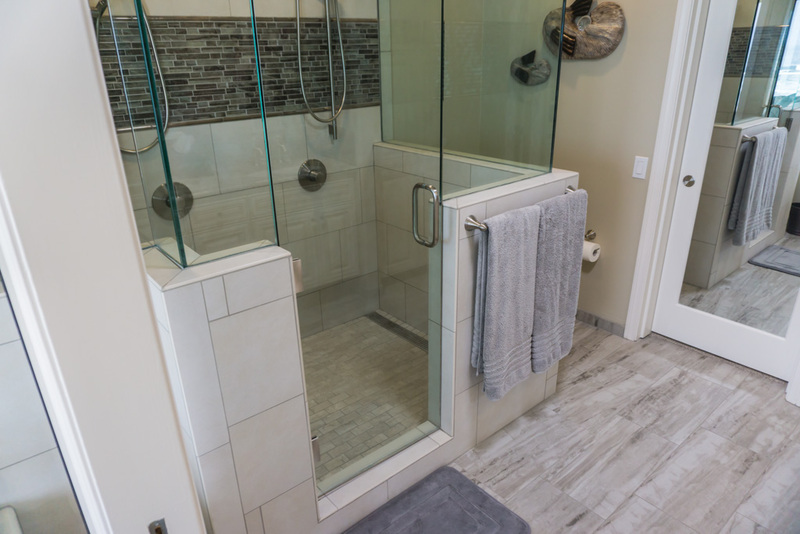 They wanted a larger shower for two, and more storage. 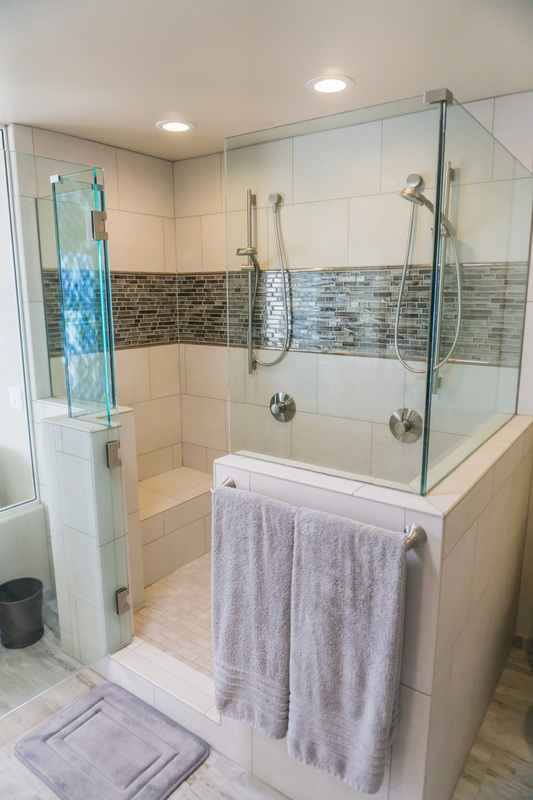 We reshaped the room by moving the shower to the old tub location, and putting a linen cabinet where the old shower was. 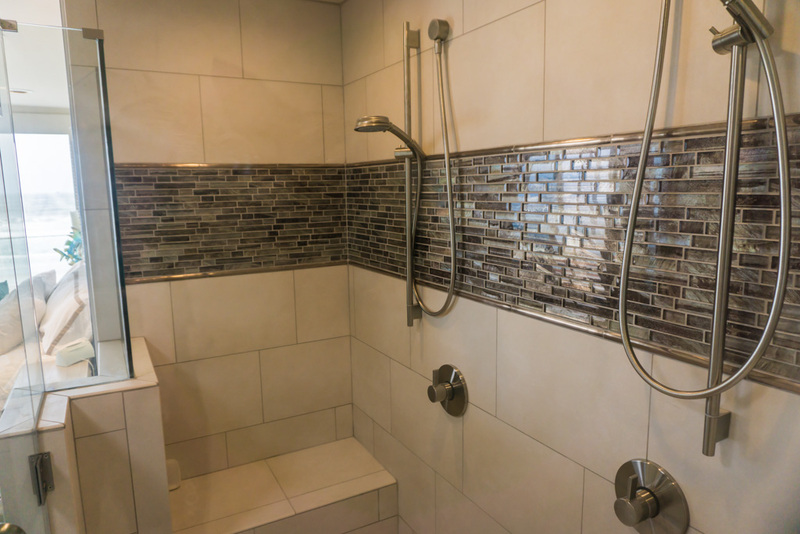 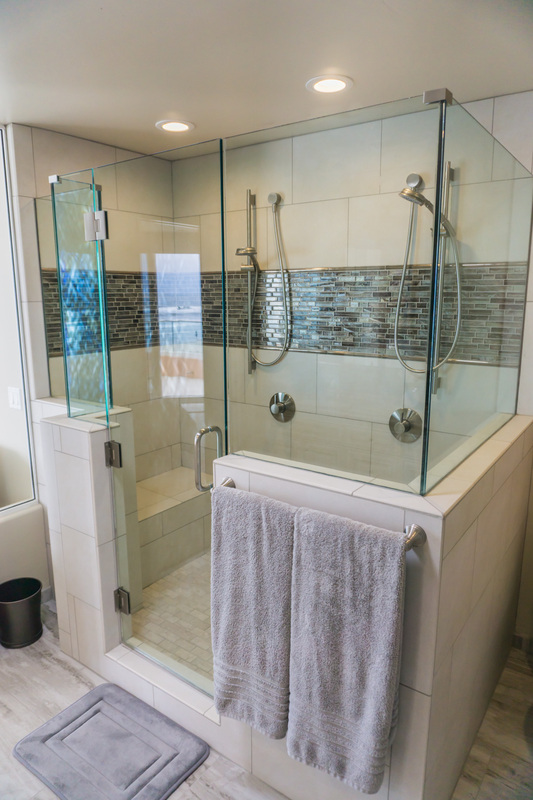 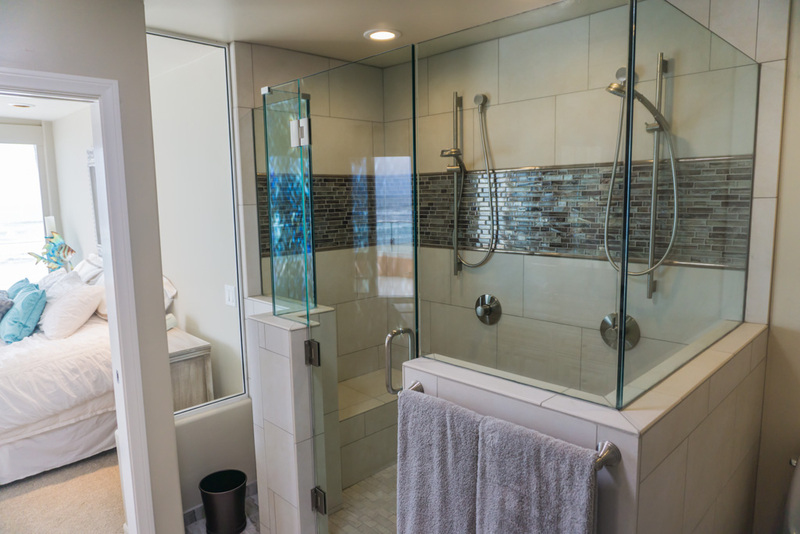 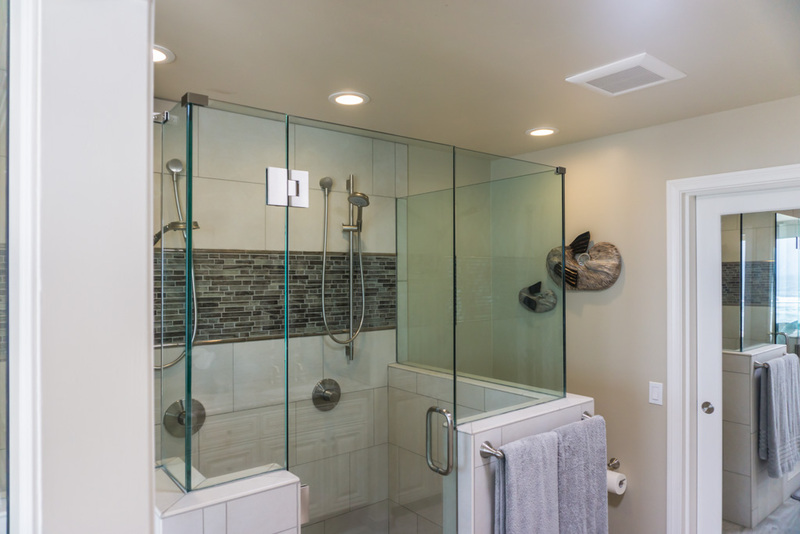 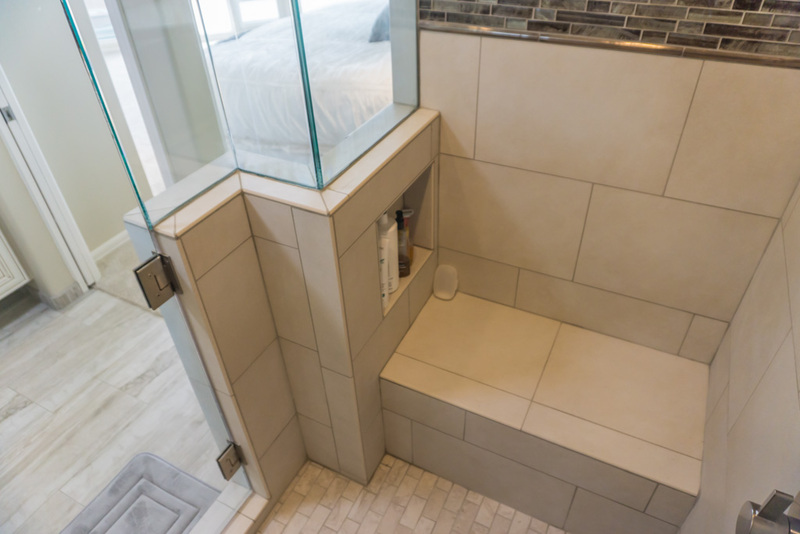 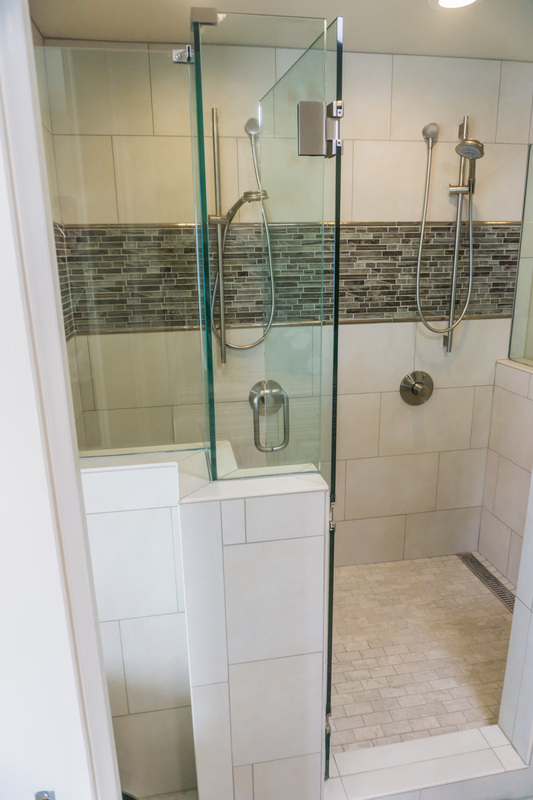 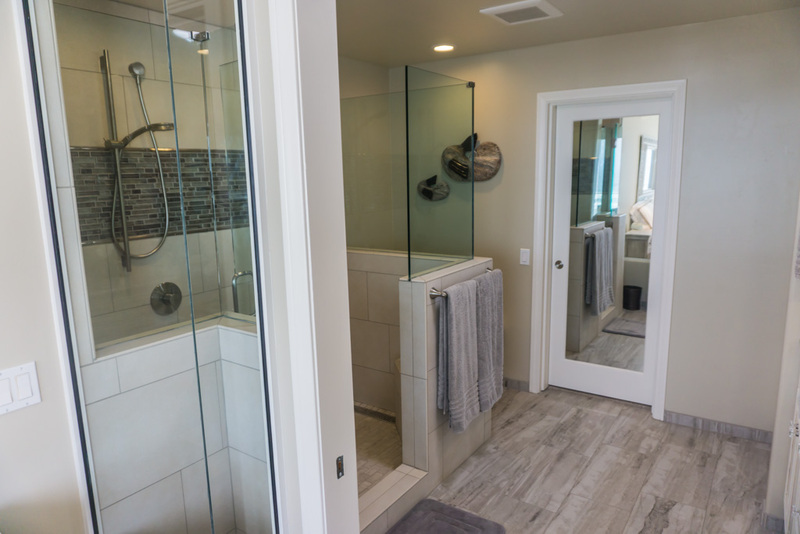 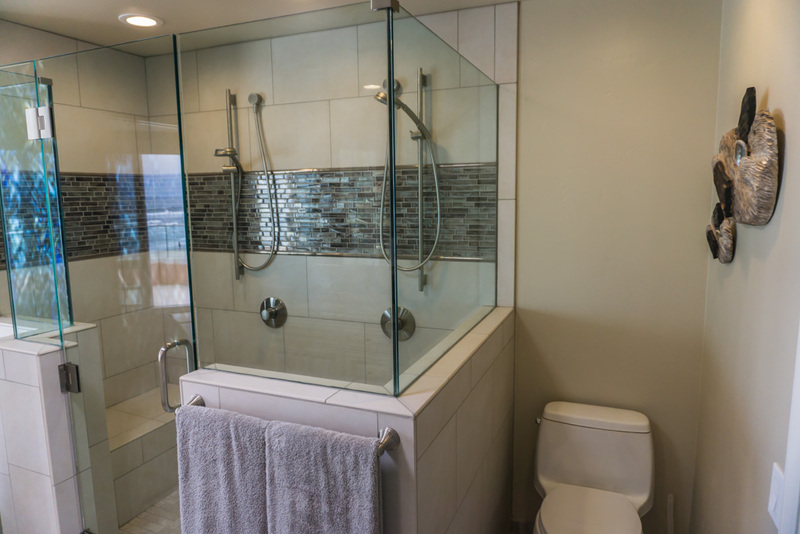 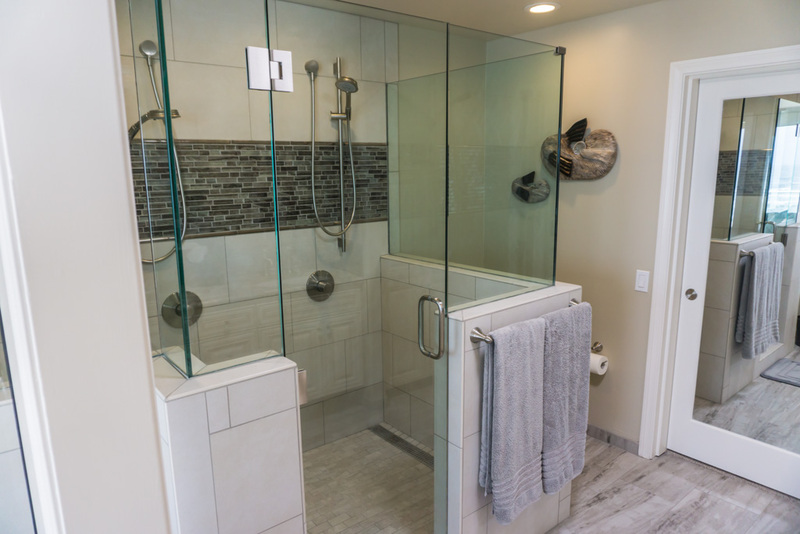 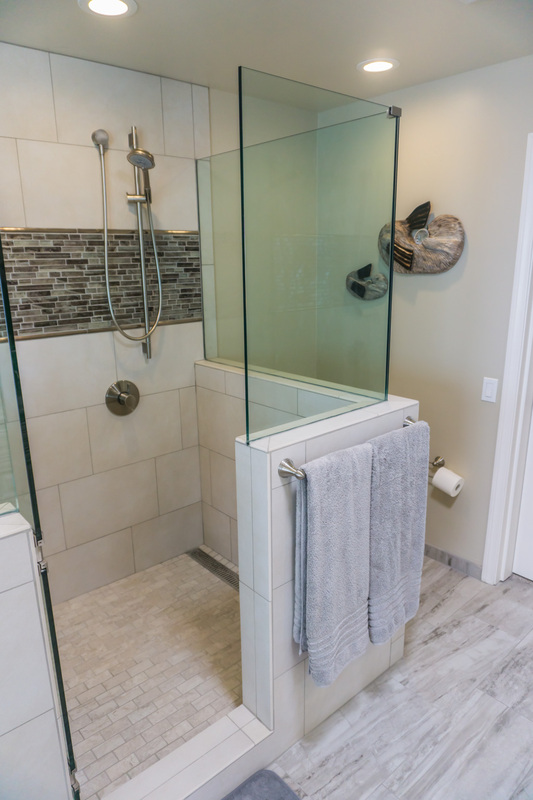 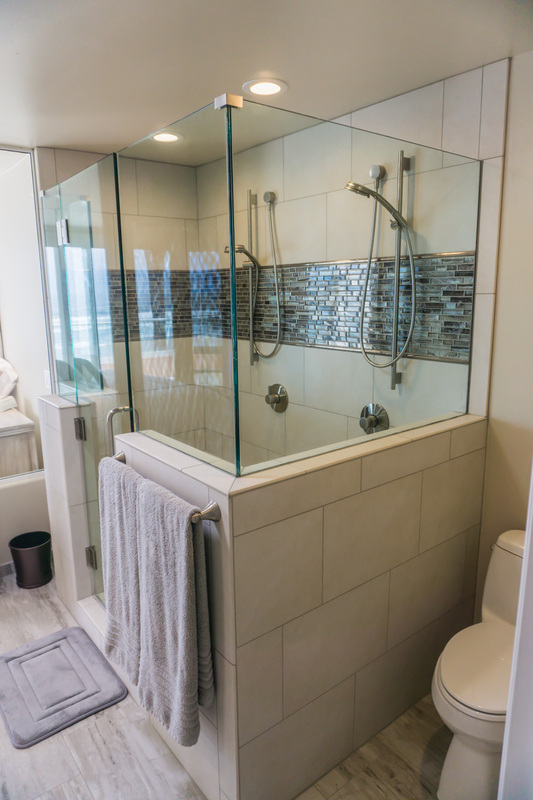 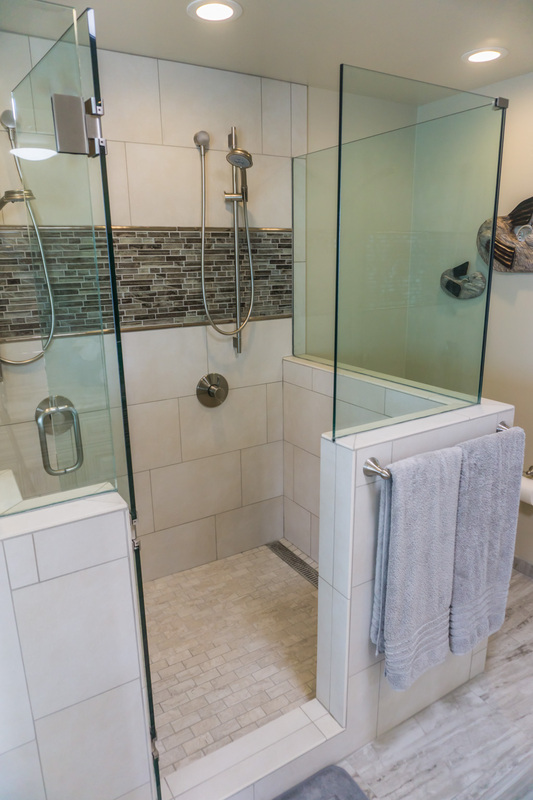 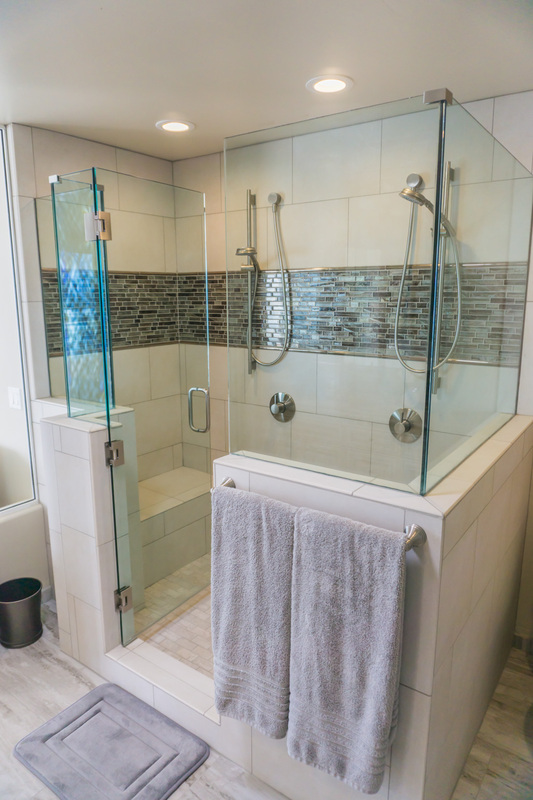 The much larger shower was made for two with specific features for each person. 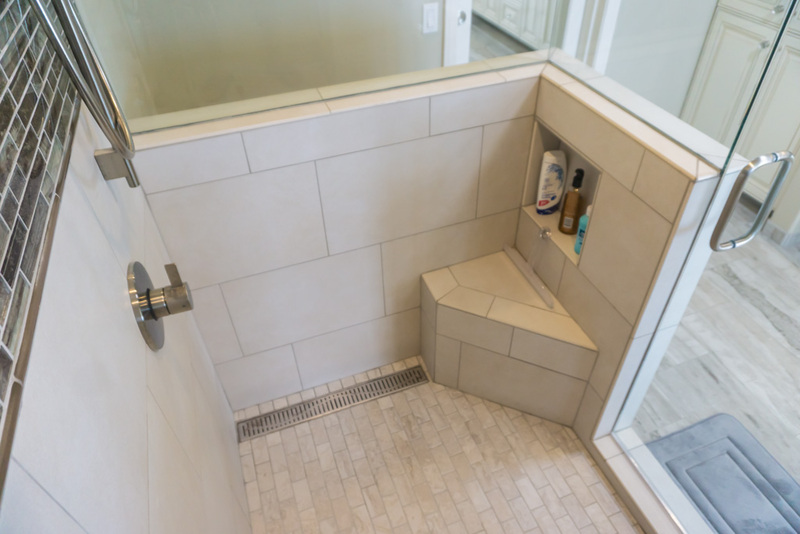 A seat and larger shampoo box on her side, and a step and smaller box on his. 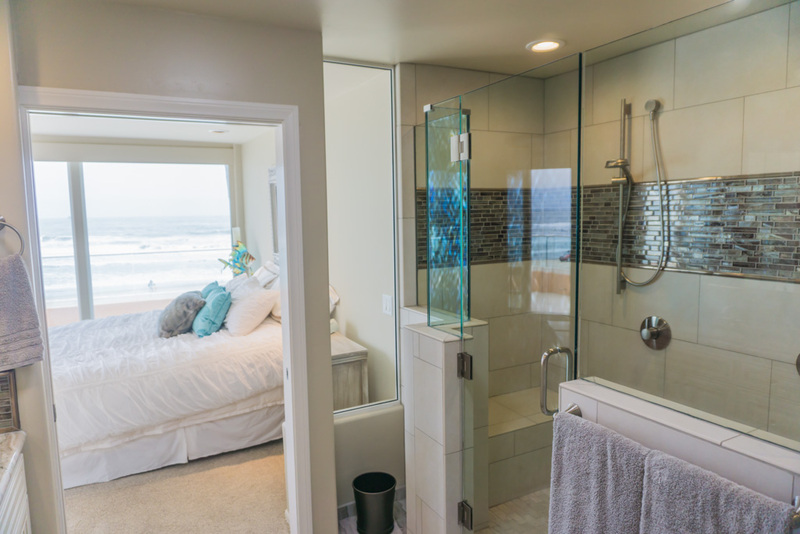 The shower now also took advantage of the spectacular view to the beach. 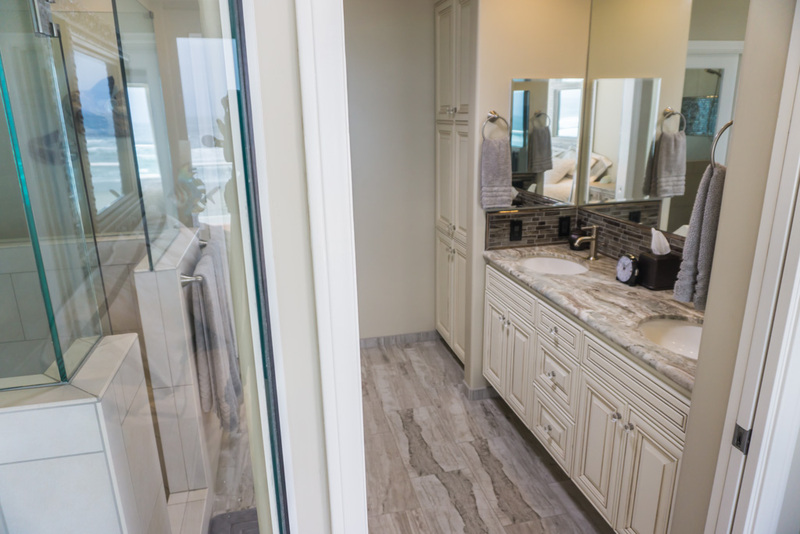 A full length mirror was added by changing the existing pocket door to one with a mirror on both sides. 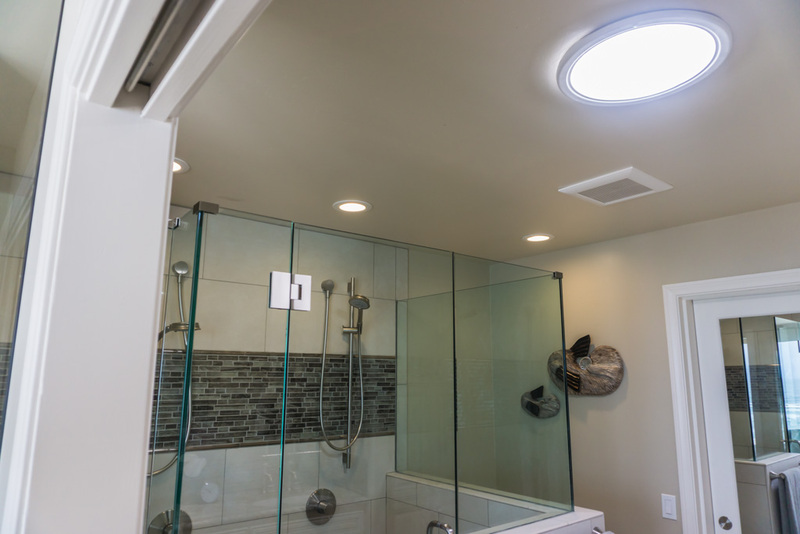 Also added a solar tube for more natural lighting. 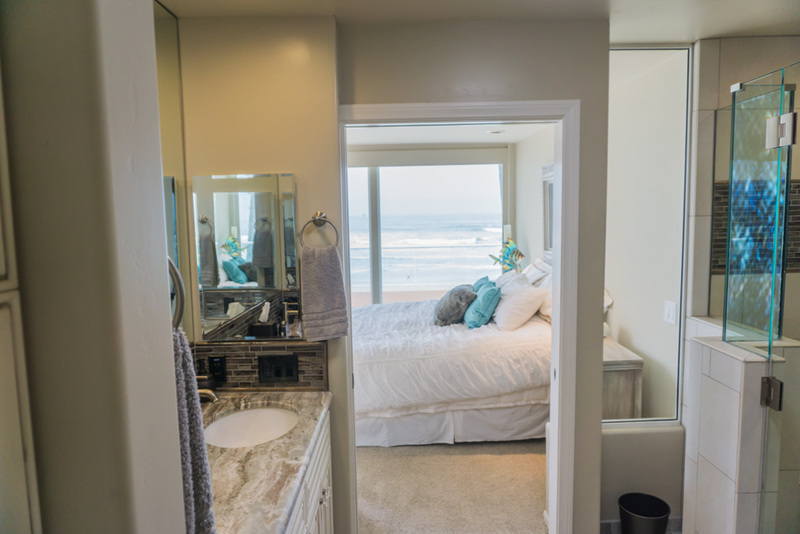 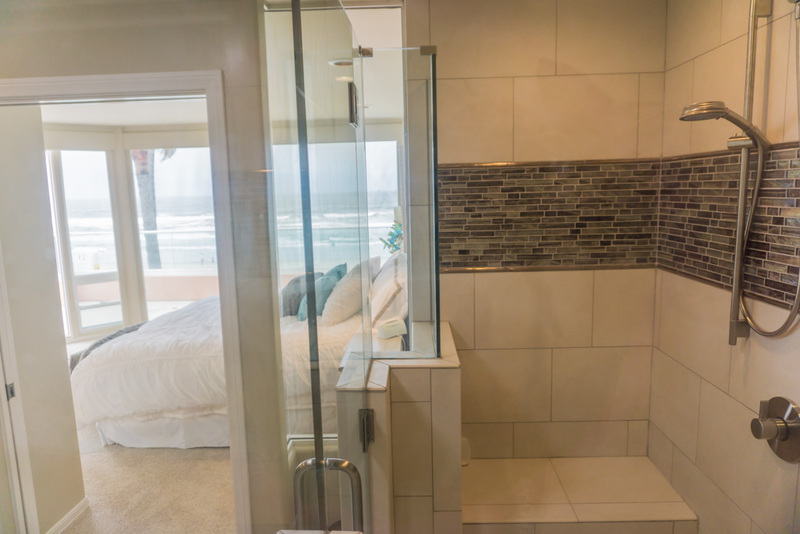 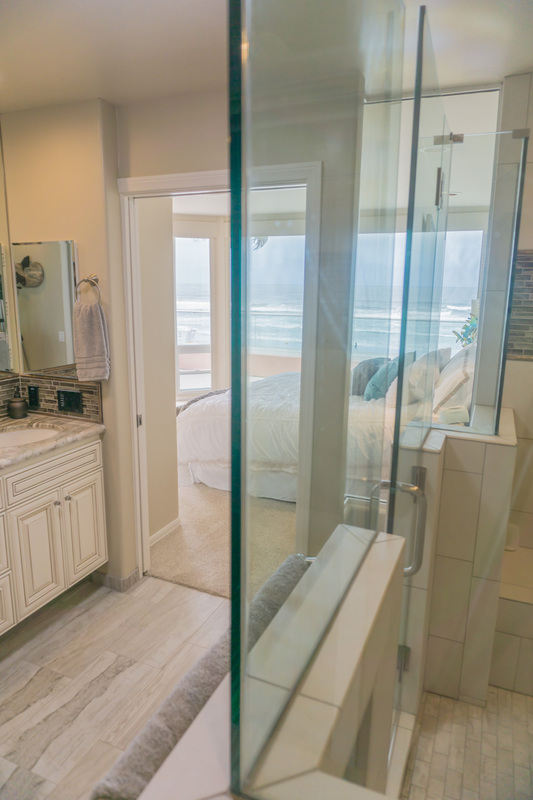 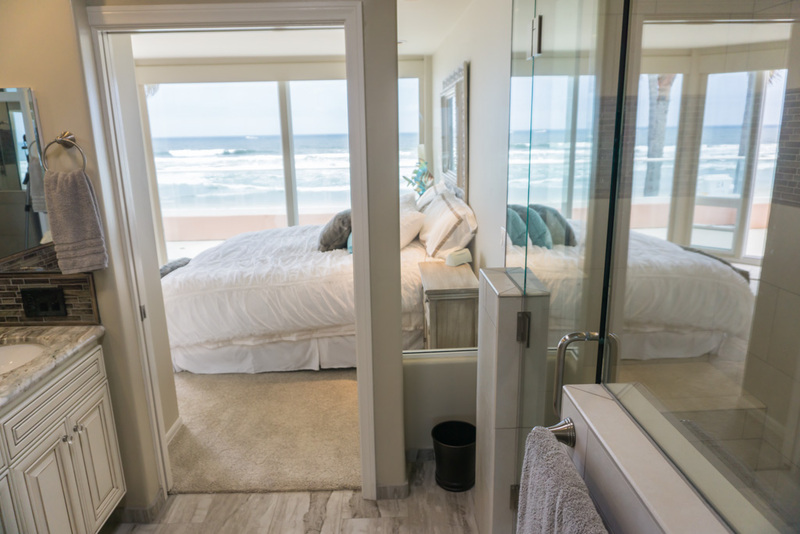 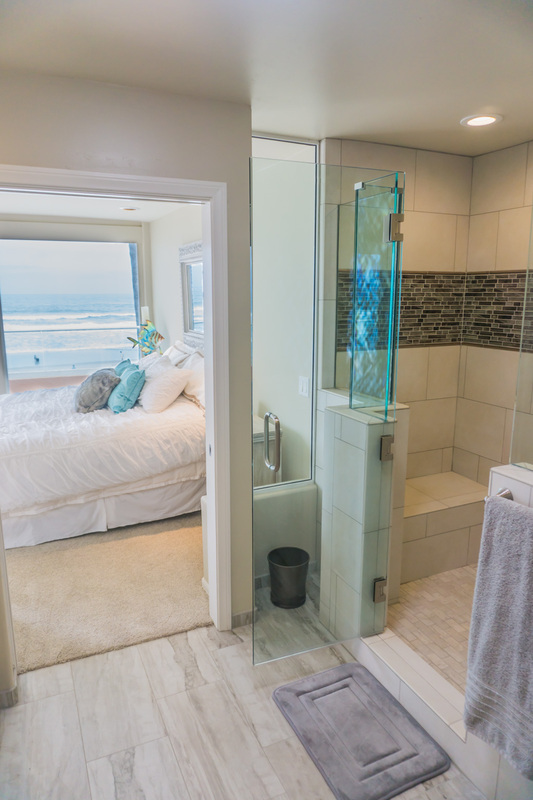 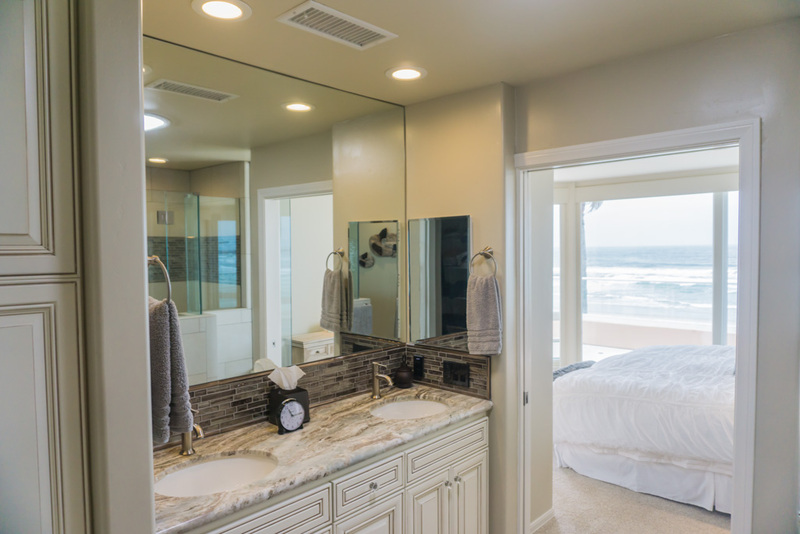 The bath had an existing glass wall between the bath and the master bedroom creating incredible views from the bath out to the beach through the large window walls of the master bedroom.